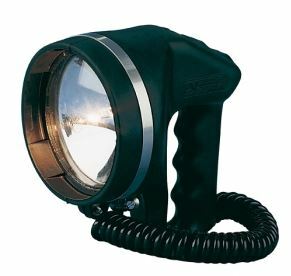 Aqua Signal Seach Lamp Series 80. Excellent Reflector Technique gives a very good and Powerful Searchlamp. Coil cable with a 2,50 meter length.